All assessments in and paid. 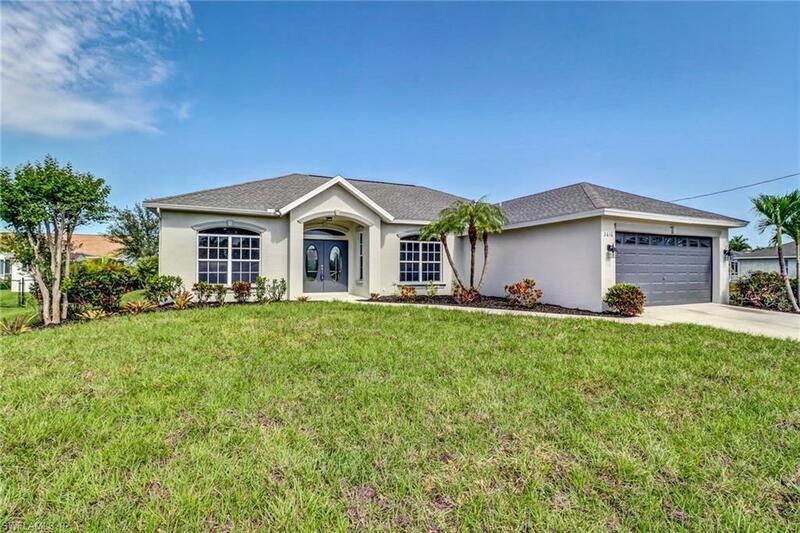 Beautifully updated pool home in a great area of Cape Coral convenient to Veterans. Home sits across from direct access water front homes. 3 bedroom 2 bath updated with granite throughout, carpet, tile, faucets, newly tiled shower, new A.C. unit in and out fresh coat of paint in and out. Pool cage all re-screened. Fresh sod just laid with some new landscaping.